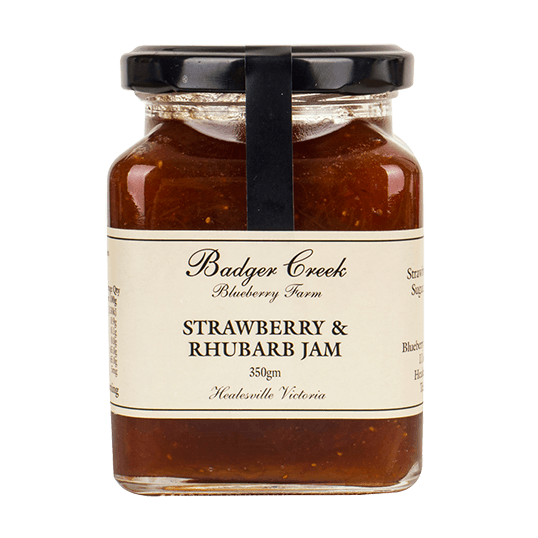 A delicious thick jam made from equal parts Strawberry and Rhubarb, it has all the sweetness you need with a tiny hint of tartness. Gorgeous in muffins, ie make muffin batter, half fill the muffin case with batter, add a spoonful of jam and then fill the rest of the muffin case with batter, then bake as usual. Minimum purchase quantity is 3. Mix and match jams and condiments for your 6 pack. SKU: 065. Category: Jams and Condiments. Tag: Jams.